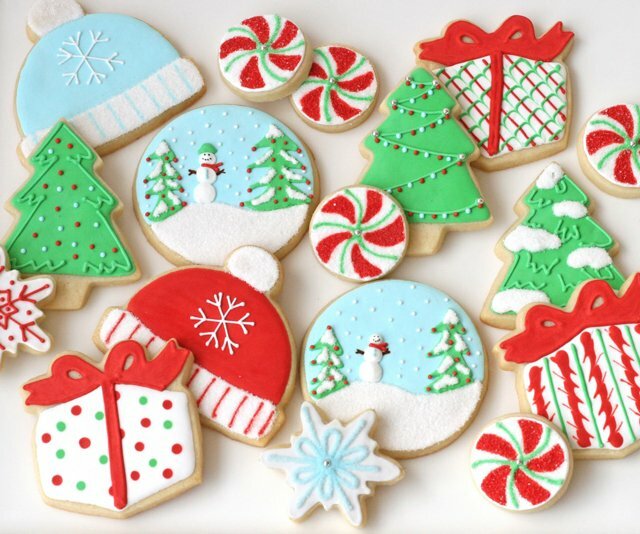 I know it’s not quite December… but I love decorated Christmas cookies so much, I just couldn’t help but start dreaming about them a bit early! My hope is that this post will spark a few (or quite a few!) 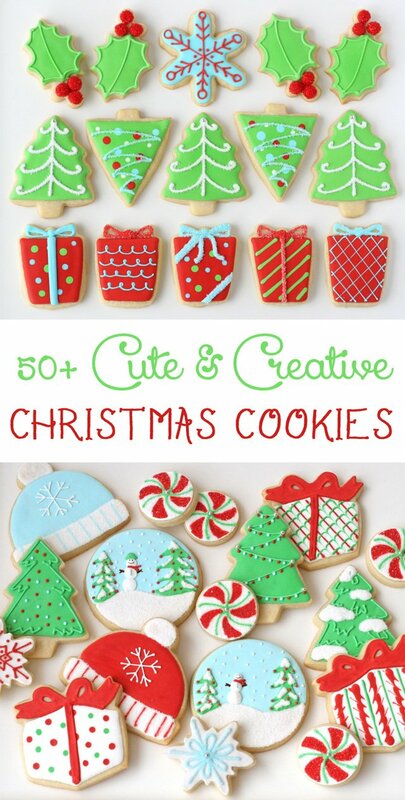 ideas for decorated Christmas cookies… from simple to show-stopping. 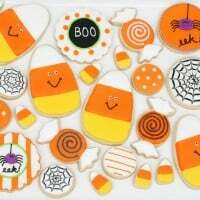 These cookies are some of my favorites from past years, as well as some that are new to the blog. 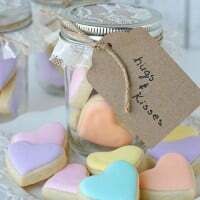 You’ll find traditional ideas, pretty pastels, extra cutesy cookies and I think a little something for everyone! Many of the images show will have a link directly below the image that will take you to a full post on that set, often including step-by-step tutorials. For the cookies without a link below them, you can use the image here for inspiration, and by looking through a few of my other cookie tutorials (all filed under the “Cookie Decorating” tab at the top of the site) I think in most cases you’ll be able to find all the information you need to give them a try. 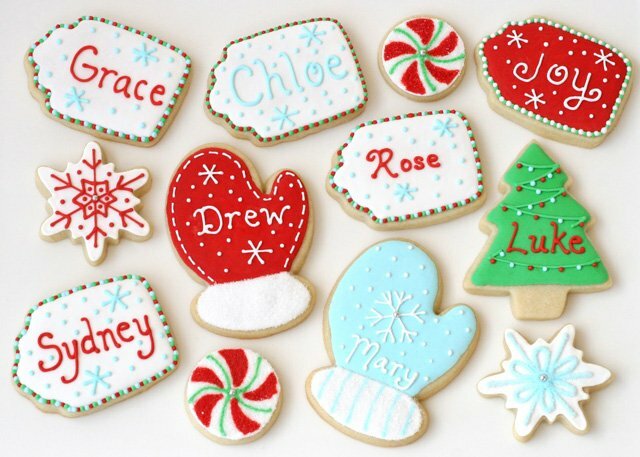 These Pastel Christmas Cookies are one of my favorite sets of all time (and the cookies that Martha Stewart herself said looked like they belong on the pages of Martha Stewart Living Magazine). I don’t have a step-by-step tutorial, but you might still enjoy the Vintage Pastel Christmas Party that I made these for. 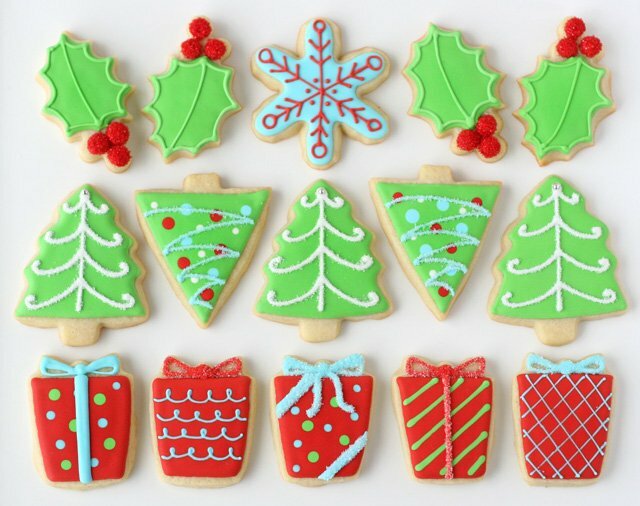 This set of classic Christmas cookies requires only 4 colors (red, green, white and blue) and yet it’s one of my favorite sets! It’s just so perfectly festive! A bit of sanding sugar added to the holly berries, the details on the trees and some of the package bows adds the finishing touch. 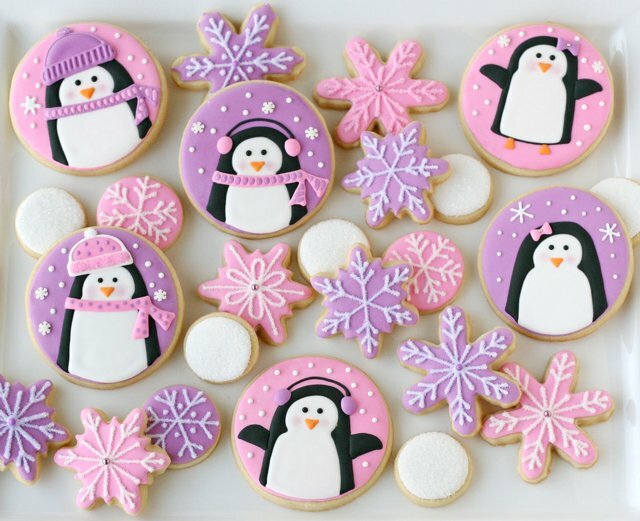 These Penguin Cookies just make me smile! I created this set as part of the treats I made for a Pink and Purple Penguin Party I hosted for my daughters and their friends. I made this set of decorated Christmas cookies a couple years before I started blogging and they are still one of my all time favorite sets! 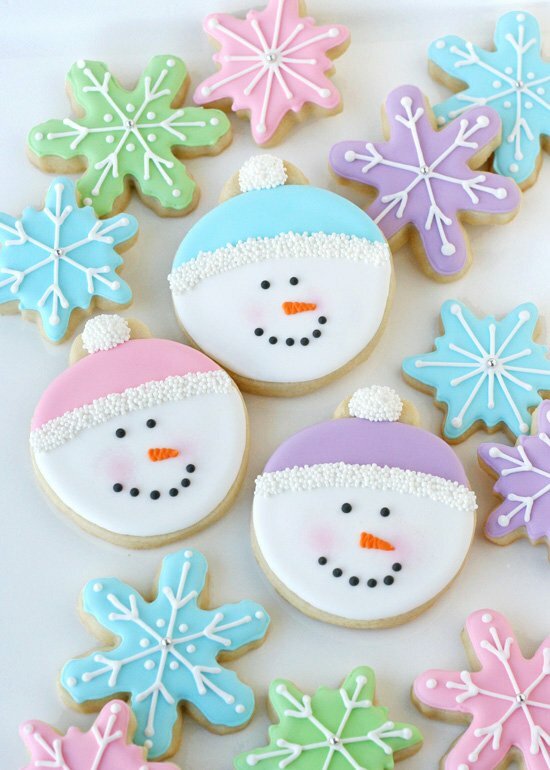 I especially love the snowman scene cookies! The addition of pink to a traditional Christmas color palate adds a bit of whimsy to this set. I have a decorating tutorial for the cupcake and the candy cane designs HERE. 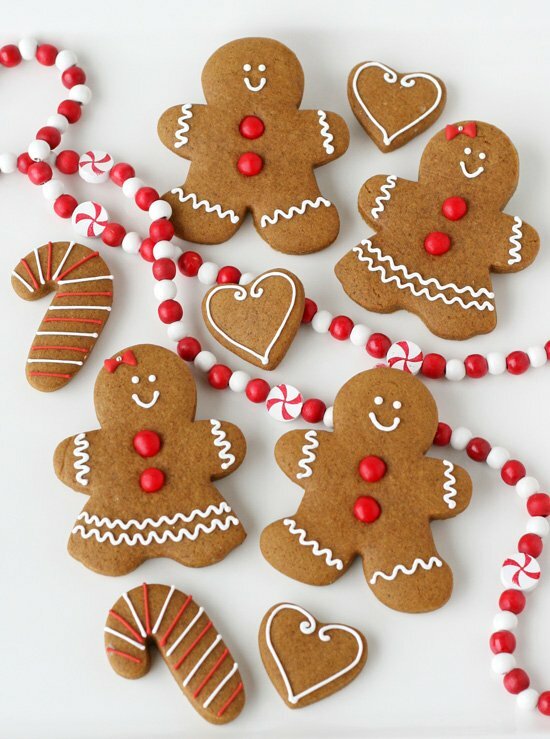 There is something so perfect about a traditional gingerbread boy or girl! They’ll always be one of my favorites to make, and eat! 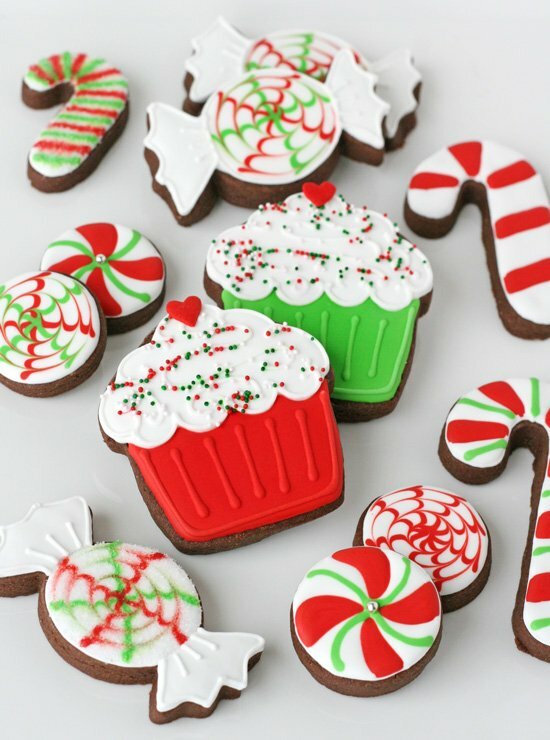 These are so incredibly simply to decorate, just add the cinnamon candies before baking, then add a few details with white royal icing (recipes listed at the top of this blog post) after the cookies have baked and cooled. I made these cookies to serve at a Gingerbread House Decorating Party. 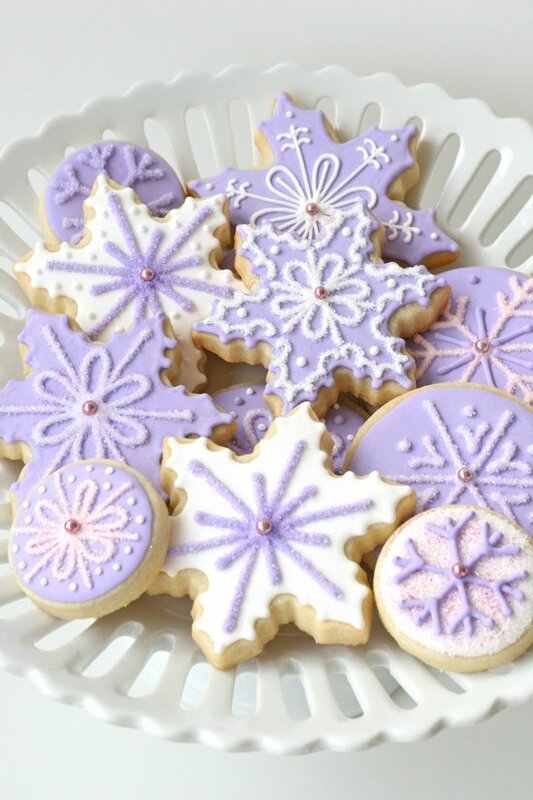 These snowflake cookies were a set I made for a friend whose favorite color is purple. It’s always fun to play with non-traditional colors. I think snowflake cookies are one design that can look great in most any color! I think everyone loves a little gift with their name on it! I packaged these cookies as little gift toppers for my nieces and nephews a couple years ago. After you’ve put a lot of time and love into a set of decorated cookies, packaging them with care is the perfect finishing touch! One of my favorite ways to package one large cookie, or a few little ones is shown above, and I have a full blog post on this Christmas Cookie Packaging. 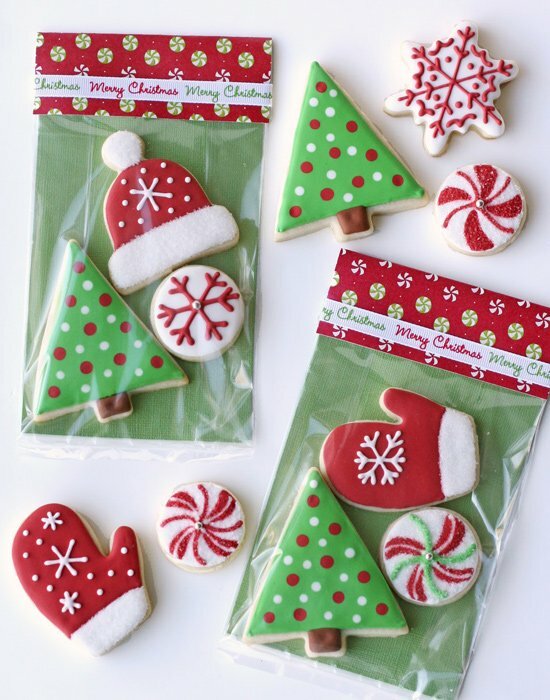 I also have an additional blog post that shows several other Cute and Creative Cookie Packaging ideas. Do you see cookie set that really speaks to you? Which is your favorite? Glory, All of your cookies are endlessly inspiring! You are such an amazing artist! Love your unmistakable style! 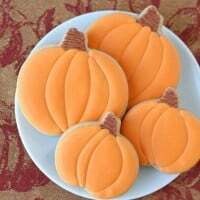 I have some cookies I did with royal icing and stencils, and have felt uninspired as to how to complete them. You remind me that sometimes, simple style and bright Christmas colors are not only okay, they are stunning and pack an immediate punch! Thank you so much! Wow! Picking out a favorite from all of these super-lovely cookies? Just one favorite? ? ? Impossible! I love your Martha Stewart endorsed pastels, the purple/lavender snowflakes, the snow-globe looking snowmen in the forest, the snowmen faces with the tiniest of pinkness in their cute little cheeks, and . . . and. . . . AND all of them! Simply gorgeous! What Nancy (@SeasonsOfJoy) said! I love them all! 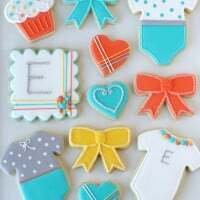 I’m with Sherrill, how can you pick a favourite from all of these stunning cookies?! Wow Glory, you continue to inspire me with how talented you are! Oh my what perfectly decorated cookies. All are beautiful, but me favorite are all the PINK ones. I am obsessed with PINK. I just can’t help it. LOVE it!! No one can touch your work. Amazing!! 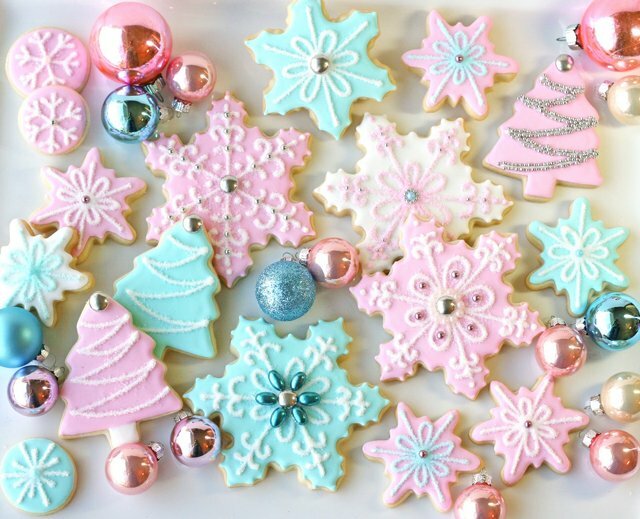 Such beautiful cookies! I am definitely getting inspired! You are amazing with your cookies! They are truly all beautiful but I especially love the purple snowflake ones – so pretty! These are all just wonderful. Every single one! My favourites are the snowmen with their cute little faces and pastel colours! 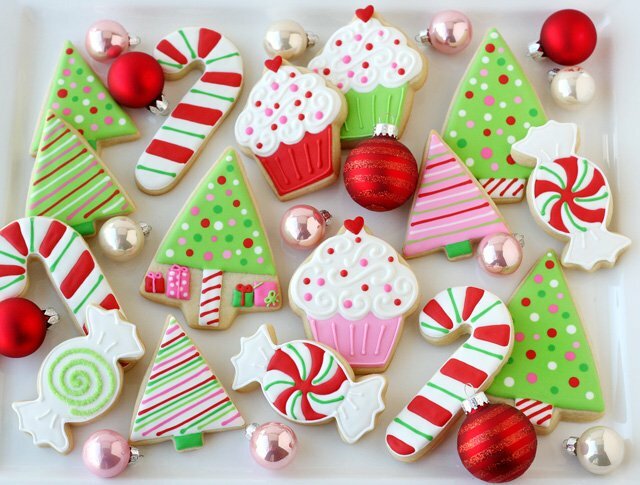 Love all the cookies-but the polka dot trees are my favourite! Do you have a tutorial to get the dots so perfect? Hi Erin, The only real trick to the polka dots is to have two colors of icing that are about the same consistency (about the consistency of thick shampoo, or corn syrup). Fill in the cookie with one color, and then while that base icing it still wet, add dots using another color. This technique is called “wet on wet”, and your dots will lay nice and flat within the first color. Your pictures are precious. May I use them to show as possible gift ideas? Hi Tracy, How do you plan to share the photos? If you’re just saving them for ideas for you to make gifts, yes, please feel free (that’s what they’re here for). But if you plan to share the photos on-line in any way, please chose only 1 or 2 photos, and be sure to add a direct link back to my post. Thanks! These look amazing can’t wait to try!! Love all of these! I made some of the holly ones in the past, but I was not pleased with my berries. Will you let me know how you made yours? Fondant, maybe?